YouTube has announced that it’s launching YouTube Music – a new streaming service that brings millions of tracks and videos in both free and paid flavors – next week, on May 22. 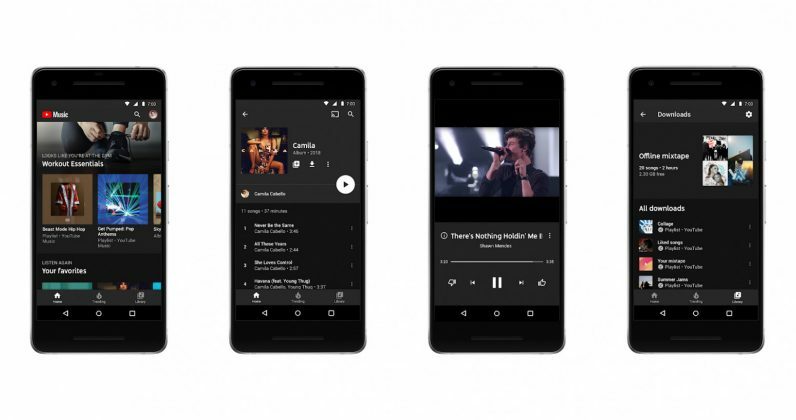 The free tier will be ad-supported, naturally – but if you’re already subscribed to Google Play Music or cough up $9.99 a month, you’ll get YouTube Music Premium, which allows for offline downloads, listening while the mobile app is in the background, and no ads. It’s worth noting that Google was previously expected to replace Google Play Music with a YouTube-based service; it looks like that will indeed happen at some point, but it could take until 2019. So, for the time being, both services will be available. That’s not all: there’s another subscription called YouTube Premium, which costs a bit more at $11.99 a month and brings YouTube Music Premium as well as access to all of the video platform’s content ad-free – including its original series and movies that were previously available to Red subscribers. The new music service will see YouTube compete with the likes of Spotify, Apple Music, Pandora, Deezer, and its own Google Play Music. But it remains to be seen whether fans will take to it: on the one hand, YouTube has a huge library of content like alternative versions of songs that aren’t on other services, while rivals like Spotify boast a vibrant community and top-notch curation. It’ll also be interesting to see what becomes of Google Play Music. While YouTube is set on killing it off at some point, it’ll need to secure all the necessary licensing approvals to make it available internationally. YouTube Music will roll out on Tuesday, May 22, in the US, Australia, New Zealand, Mexico and South Korea. The company says it will subsequently become available in Austria, Canada, Denmark, Finland, France, Germany, Ireland, Italy, Norway, Russia, Spain, Sweden, Switzerland and the UK. You can sign up to be notified when the service arrives in your country on this page.